In case you missed it — here's a recap of news from the Unidata Program Center for the month of October, 2018. The Unidata Program Center is pleased to welcome new members to the program's governing committees. Committee members serve three-year terms, meeting twice each year to provide feedback on the effectiveness of the Unidata Program and advise staff on issues facing the university community. Appointments reflect the range of large and small colleges and universities with undergraduate and graduate emphases where Unidata systems are in use. 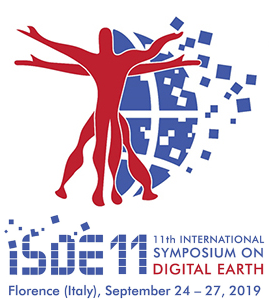 The 11th Annual International Symposium on Digital Earth (ISDE 11) will take place 24-27 September, 2019, in Florence, Italy. The conference will include a scientific program with technical paper sessions, invited talks, joint sessions with sister organizations, panels, an exhibition, and social events. The theme of the 2019 event is “Digital Earth in a Transformed Society,” celebrating and investigating the virtual representation of our planet as a multidisciplinary collaborative effort that engages different sciences (e.g. Earth, Space, Information, and Human sciences) to monitor and forecast natural and human phenomena. Unidata Program Center developers write regularly on technical topics on the Unidata Developer's Blog. 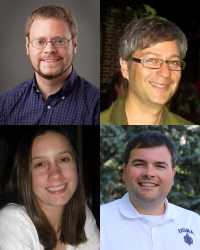 October was a busy month for the Unidata developers, though, with the software training workshop in Boulder, so not a lot going on over on the blog. Still, MetPy Mondays posts continue to appear each week — check out this month's posts on mapping and error handling.